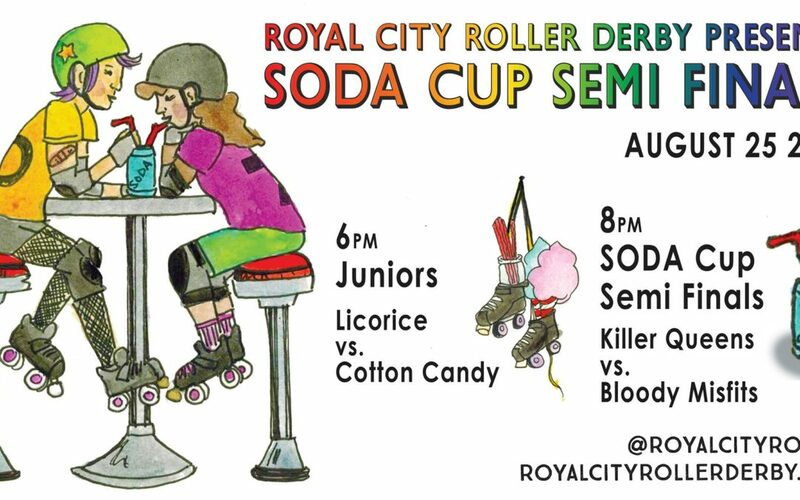 After a full season of derby action across Southern Ontario, our very first S.O.D.A Cup Tournament is almost coming to an end! We are holding one of two Semi Final games, so we know this match up will be an exciting one that you do not want to miss! 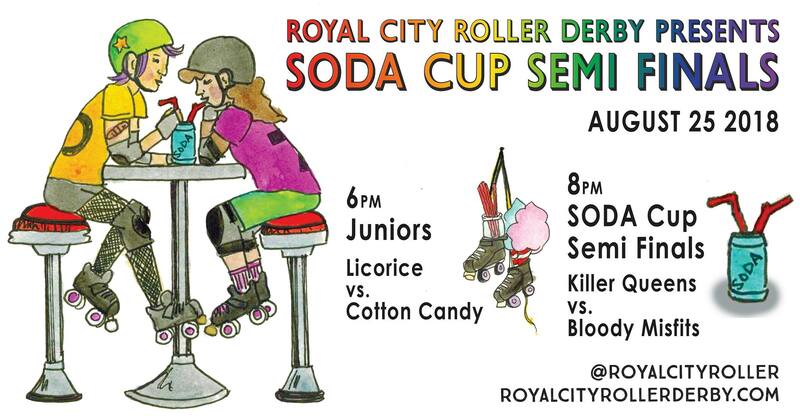 First, you get a chance to get a glimpse into the future of roller derby as we hold a Junior Open Scrimmage! This will not only feature our own juniors but other young players from the surrounding area! Come out and cheer for both Team Licorice and Team Cotton Candy! Then, it is our S.O.D.A Semi Final! The Killer Queens take on The Bloody Misfits to see who will make it to the championship game in September! After party at The eBar!